We’ve been in the midst of the coldest weather in 15 years this week. This morning, I woke up to a temperature of -23F, with a windchill in the -40s. It rarely gets this cold, so when it does, you get to see strange things. 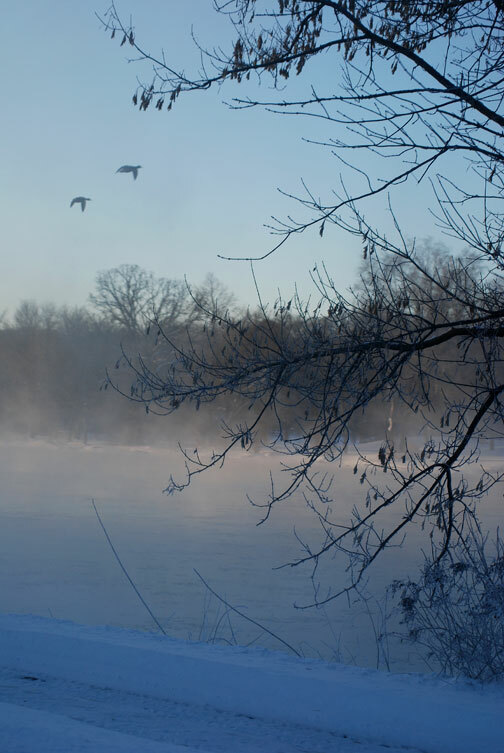 Like the Fox River, frozen solid, with what appears to be steam rising in big sheets at sunrise. I wanted to take a picture as I walked to the train this morning but I was running late and also a bit terrified of removing my glove to dig my phone out of my pocket. Luckily, someone downstream apparently had the same thought and sent it in to Tom Skilling’s blog. This entry was posted in Neighborhood and tagged River, Weather. Bookmark the permalink.